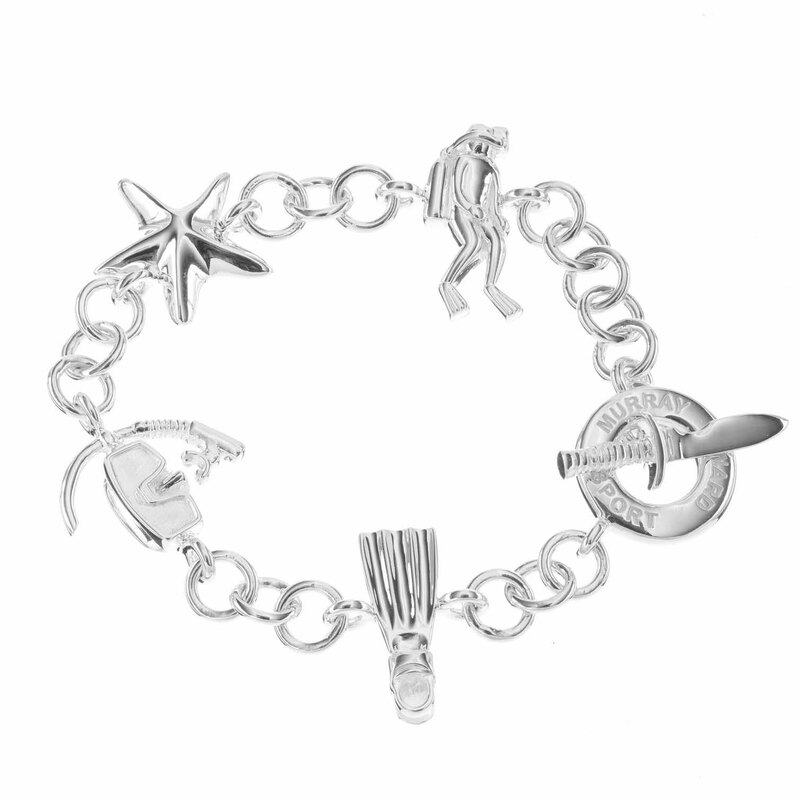 This unique Sterling Silver Charm Bracelet is a fabulous gift for the diving fanatic. When you are not under water, show your love for the sport by wearing our stunning charm bracelet made of the highest quality, certain to add some creativity to your formal wardobe. Bought with matching cufflinks, this makes the perfect wedding gift for scuba diving obsessed couple.